As a business grows in size, it can create issues when trying to manage an online digital campaign. Most platforms are well-equipped to handle businesses with a few multiple locations, but things can get tricky when there are a lot of locations, even with Google. However, Google recently announced some changes to Google My Business to help local business owners and advertisers manage multiple locations. Google is introducing a revamped Google My Business API, with a new agency dashboard and new agency partner program. The new API has useful new features such as the ability to manage additional categories of content (e.g. merchant descriptions and Posts) for multi-location brands and small businesses with different site locations. “In the last couple of years, we’ve invested in the Google My Business API, introducing features like Reviews, Menus, Insights and Posts to make it possible for agencies and platform partners to easily maintain and update Google listings for their end customers,” wrote Anita Yuen, Product Management Director for Google My Business in a blog post. “With our latest API update, we’re adding more features like offer posts and merchant description so partners can continue to offer Google My Business’ latest features to their customers efficiently and at scale. These features are especially useful for marketing agencies that need to manage multiple businesses, each with multiple locations. 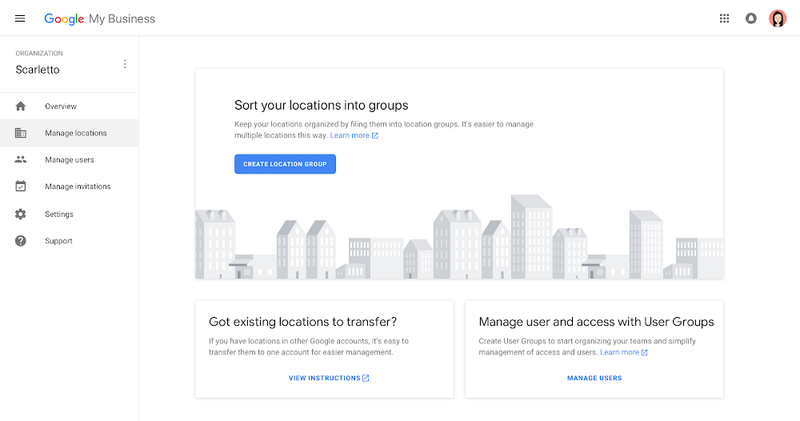 Instead of having to create separate accounts for every business that didn’t already have a Google My Business account, agencies, for the first time, will be able to sign up and register for a Google My Business account. Registered agencies will get access to a brand new agency dashboard designed with our partners needs in mind. Making the effort to utilize the new system comes with several positives for the agencies. For example, Single Organization Accounts on Google My Business can manage all locations and are no longer limited to 100 locations. The dashboard can be used to create User Groups to manage internal teams and control access to locations. There’s also improved search functionality, enabling users to efficiently search for locations within an account and across location groups. And it strives to make it easier to send and receive invitations to manage listings. The new system is expected to go live in a few weeks. Agencies that want to apply for the new dashboard and features can use this link to do apply. With more than one-third of all mobile searches being related to location, there a lot of good reasons for business owners to try to take advantage of these features if they need to manage a lot of locations. For more recent news about updates to Google, read this article on Google’s new video ad format.